I did a thing…and finally created a blog!! 🙌🏼 First things first, let me introduce myself. I’m Lindsay, Mom of two littles Mollie Campbell, 5 (you can call her MC) and Maxwell, 10 months. I love all things involving food, family, and travel! I’m a part time RN and have a health and wellness business as well…(let’s just say gut health is my jam). I’ve been married to my handsome hubby for 8 years now (and the Air Force 😜). We met in North Carolina where I’m from, and bought our first home, and had sweet MC. Loads of special memories and family are in NC. We’ve spent the last 3 years living in south Florida between Fort Lauderdale and Miami. We had our beloved Maxwell there, then got the news we were once again being moved… #militarylife . 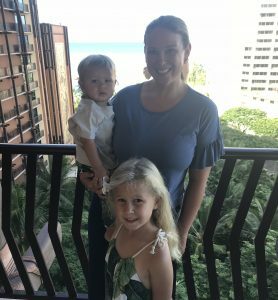 We ended up moving to Hawaii on the island of Oahu, bought a home, and are finally settled in! We’ve already met some pretty amazing people and have made connections, and have been able to do some exploring. I’m excited to see what the next three years have in store for our little family and can’t wait to take you along for the ride!